Throughout the past fifteen years, millions of websites have emerged that all share the same goal: to gain exposure to new audiences. In the past, search engine placement was relatively simple and just about any website could quickly become featured in select search results. As competition increased, so did the criteria for search engine rankings. Commonly referred to as SERPs, Google and other major search engines now require you to jump through many different hoops in order to land on the first page of many search results. While many SEO tactics change from year to year, there are some that remain and will remain forever useful. Below, we will discuss these strategies so that you can always be on your A-game when it comes to search engine optimization. 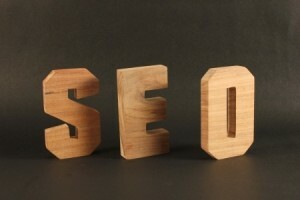 This is perhaps the most important element and one that will forever remain relevant to SEO. Any audience must find your content and brand appealing – otherwise, they will not be pinging your blog or website for very long. When you determine the variables of this audience, you will then need to do market and keyword research to determine what these people search for and how they search for it. Armed with this information, you can then proceed to develop a SEO strategy built around keywords and content that targets this niche. Webmasters will always need to have a particular audience in mind when they create content, and will always need to know how to reach them through keywords. The future of internet content is one that will place an increasing amount of scrutiny on the quality of each website’s content. While search engines are not yet capable of determining the empirical quality of your content, they can rely upon a variety of other metrics to assess whether or not it is valid or sub-par. As a result, quality content will continue to become more important in the future of SEO. There are lots of variables to good content, such as overall length, keyword density, sub-headers and more. These variables, however, are subject to change: what will not change is the desire on the part of your audience for quality content. The more of this that is produced, the more of it that is shared and posted to other websites and social media platforms. Since the dawn of the internet, people have been using tags to convey to search engines the intent and subject of their websites and blogs. While pinging your blog no longer requires comprehensive coding in order to tag items, it is still necessary to spend a few minutes of time and add these elements to each page via WordPress or a similar program. Titles, headlines and meta descriptions are all vital aspects that search engines use to further classify your content – this will not change in the near future. As SEO continues to change, some elements will remain constant. The need for quality content is always going to exist, as will the need to know one’s audience. In addition to this, tags and meta data will always be useful and needed by search engines to convey additional data about your pages. With Google’s latest update the content portion of this couldn’t be more true. You need to make sure you are right awesome content targeted at the right audience that people are going to want to share. The idea behind tricking the search engines with shady link building tactics are over and I for one am all for it!